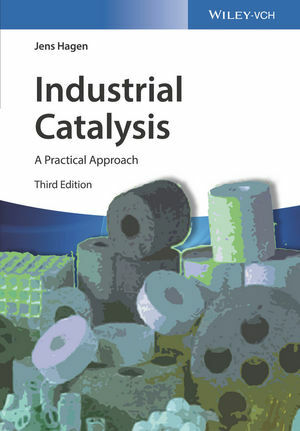 Now in it's 3rd Edition, Industrial Catalysis offers all relevant information on catalytic processes in industry, including many recent examples. Perfectly suited for self-study, it is the ideal companion for scientists who want to get into the field or refresh existing knowledge. The updated edition covers the full range of industrial aspects, from catalyst development and testing to process examples and catalyst recycling. The book is characterized by its practical relevance, expressed by a selection of over 40 examples of catalytic processes in industry. In addition, new chapters on catalytic processes with renewable materials and polymerization catalysis have been included. Existing chapters have been carefully revised and supported by new subchapters, for example, on metathesis reactions, refinery processes, petrochemistry and new reactor concepts. "I found the book accesible, readable and interesting - both as a refresher and as an introduction to new topics - and a convenient first reference on current industrial catalytic practise and processes." Jens Hagen gives vocational training seminars on catalysis throughout the world and until his retirement he was Professor of Technical Chemistry at Mannheim University of Applied Sciences (Germany). The input he received through his international courses had an active influence on the content of the current edition of "Industrial Catalysis". Jens Hagen completed his first degree in chemical engineering in Essen (Germany), before studying chemistry at RWTH Aachen (Germany). He gained his doctorate in 1975 in the field of catalysis and high-pressure synthesis. Following a period in industry at Henkel KGaA, Düsseldorf (Germany), he was appointed as Professor at Mannheim University of Applied Sciences in 1979. Professor Hagen's teaching and research at the faculty of Chemical and Process Engineering focused on chemical reaction engineering and technical catalysis. In addition, he was the head of the Steinbeis Transfer Center for Process Engineering, Biotechnology and Environmental Techniques for many years.